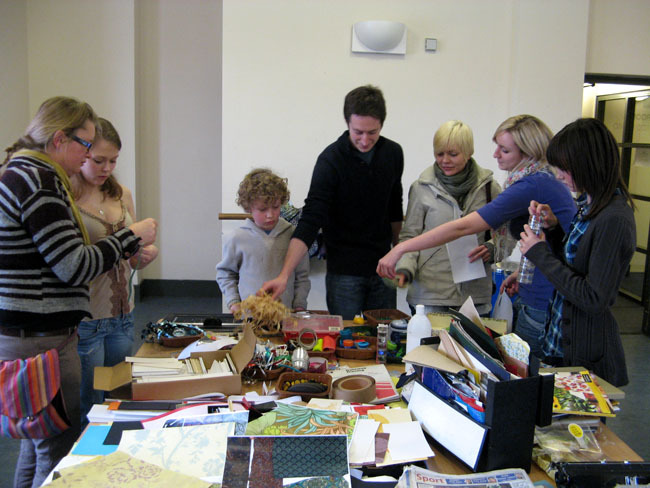 I have run a range of creative workshops in college and community settings. As an Associate Tutor at the Cardiff Open Art School (Metropolitan University) I deliver day and evening classes in Collage/illustration, Book Binding and Letterpress and lino printmaking. Other clients include Humble By Nature, Kate Humble’s farm and rural skills centre in Monmouthshire, the SHO Gallery in Cardiff and the Makers Guild in Wales. Please browse below forthcoming and previous workshops, and you can email me if you’d like to be the first to know about brand new workshops. Click here to visit the COAS website and to book your place on any of the below courses. 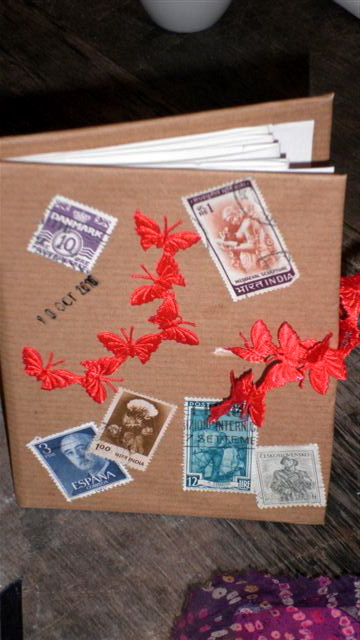 The handmade book is an exciting and versatile form, which artists continue to be inspired by. 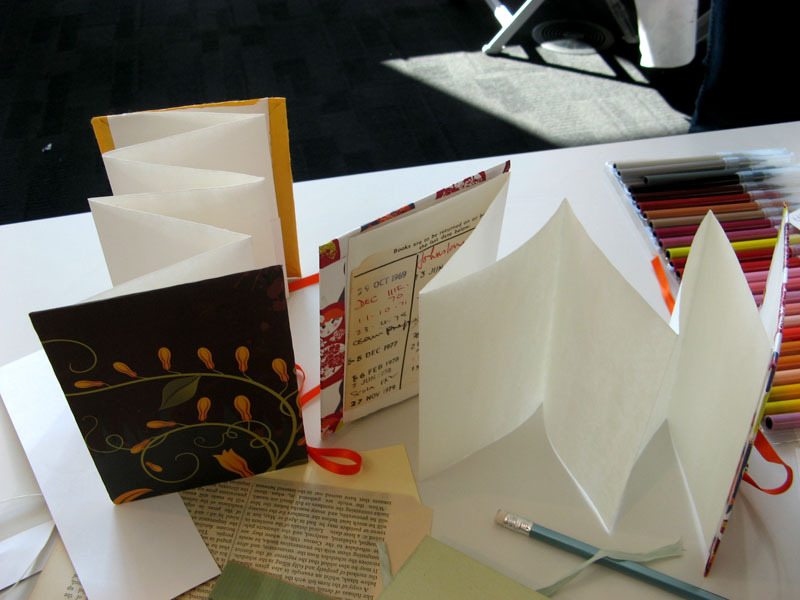 During this class you will explore several approaches to making a book, from traditional Western and Eastern stitch bindings to one-sheet books, concertina and pocket books and also more innovative and surprising ways to construct and finish your book. 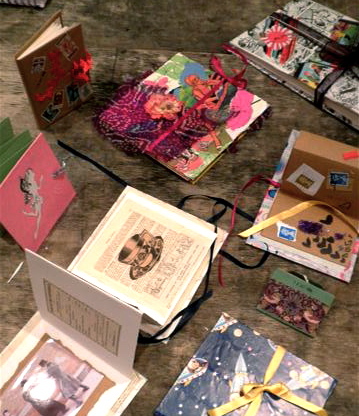 A collection of artist books, zines and journals will be on hand to give you some ideas for book form and content, and how the two are linked. 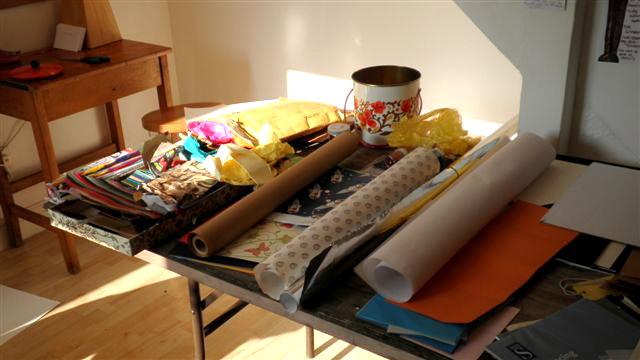 Basic materials such as paper, cutting, covering and binding materials will be provided, plus an array of collage materials. Participants are encouraged to bring along different papers, newspaper clippings and indeed anything else to inspire and include in their designs. Campus: Starts at National Museum Cardiff, continues at Howard Gardens CampusCollage is a medium used by many artists and designers to make layered and dynamic images. It is enjoyable and simple to work with, yet can produce highly unusual and eye catching pictures. During this one-day course you will explore ways to work with a range of media and respond to different stimuli, such as a theme, a piece of literature, a colour or an idea. The workshop will begin with a visit to National Museum Wales to Sir Peter Blake’s exhibition Llareggub, in which he has illustrated Dylan Thomas’ Under Milk Wood for Dylan Thomas’ Centenary year. During the visit we will examine and discuss the collage techniques he uses for creating his images, and how he has brought the characters, settings and stories of Dylan Thomas alive using this medium. Following which, we will return to Howard Gardens late morning and begin to put together our own collages, taking Peter Blake’s work as a starting point. This course is suitable for artists wishing to develop new ideas, plus those with no previous collage or drawing experience. To bring with you: Please bring an A4 sketchbook, glue, scissors and any newspapers, magazine cuttings, papers or other visual elements you wish to include in your collages. Prior to digital technology, letterpress printmaking was a key method for producing newsprint, books and posters. Spend a weekend learning the traditional techniques for designing, setting and printing text within the heart of the Printmaking department at Howard Gardens. You will be guided in the measuring, selecting and setting of type, using wooden and metal type in a variety of fonts.Following this will be the chance to print your text using both a flatbed press and a traditional table – top letterpress. 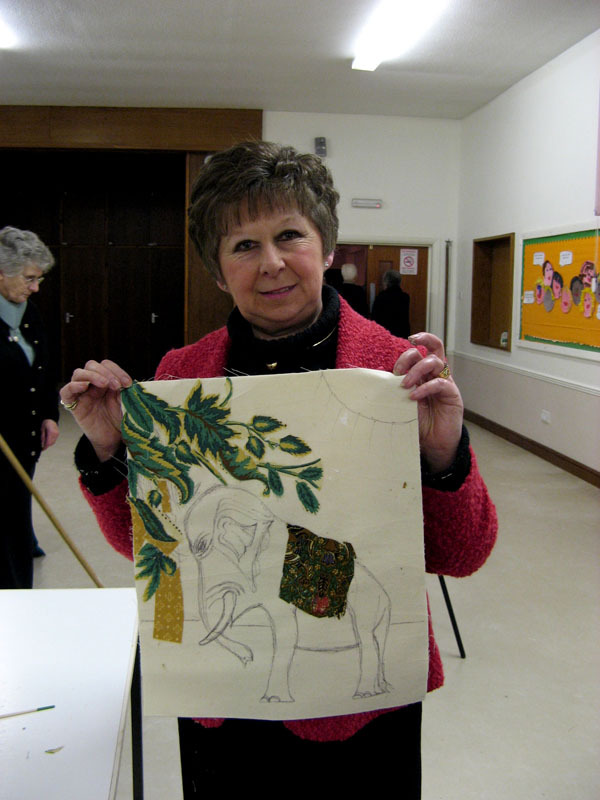 You will produce mono-print and multi-coloured images during the two days. Proofing pages, type and inks will be provided. This course is suitable for those with previous experience and beginners to printmaking wishing to learn a new process from the start. Please bring an apron and some ideas of quotes, sentences or words that you would like to work with. Illustration is an art of communication – of narratives, ideas, situations, conversations, concepts and characters. In this workshop we will look at the varying techniques and approaches used by historical and contemporary illustrators in addition to important elements of visual design such as colour, movement and composition. By the end of the workshop you will have had the opportunity to try your hand at different media and exercises, and begin to develop ideas for your own illustrative work. You will gain an insight into the broad application of illustration within visual culture, for example editorial, narrative, commercial and product illustration. 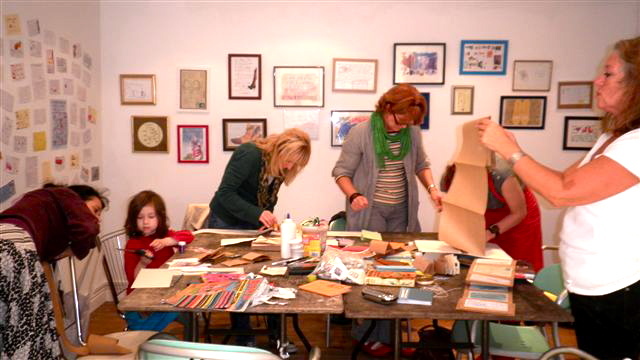 This class will encourage you to be inventive and playful and all abilities are welcome. Please bring with you: A4 sketchbook, drawing pencils and pens/felt tips, eraser, sharpener, craft knife, acrylic/watercolour paint, brushes and/or any other materials you wish to work with. Campus: Howard Gardens CampusLino Printmaking is an incredibly satisfying and beautiful art form, in which you can create unexpected and vivid prints in single and multiple colours. Within this workshop participants will work with a range of cutting tools to make marks upon the lino to create both simple and more intricate designs. We will play with reduction printing and layering colours as well as making single colour prints. There will be a range of inspiration and ideas on hand but please feel free to have a think about what kind of designs you would like to create. 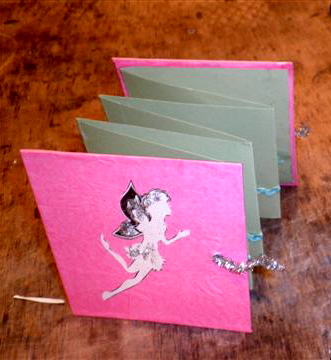 There will be some blank cards and paper available depending on the size of image you wish to create. Suitable for all. Please bring an apron! Click on the link at the top of this page to enrol online. 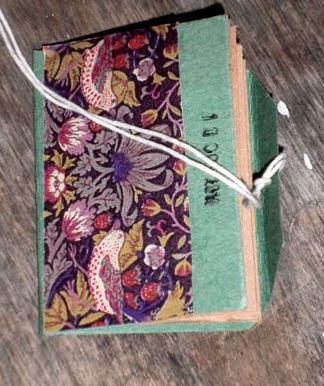 August 2013 – Screen Printing and Book Binding workshops as part of Artist Residency in Tranas, Sweden. 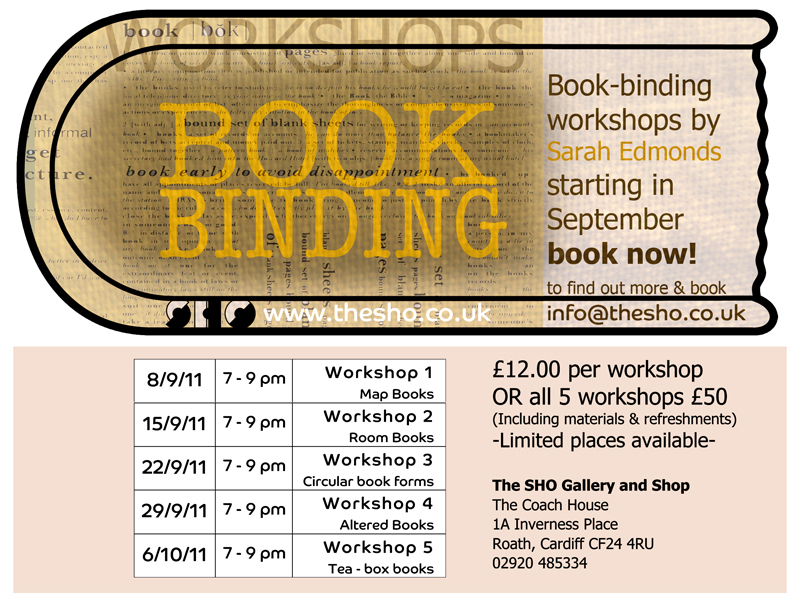 Thursday 8 September – Thursday 6 October: 5 week course of 3d paper sculpture and book arts at the SHO Gallery in Cardiff. 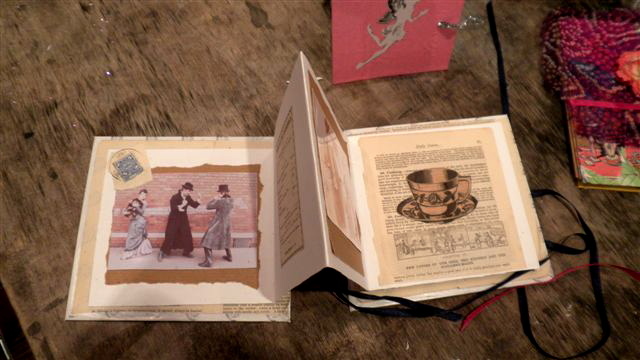 To coincide with my work being shown at the SHO gallery (Subtitle Exhibition), I ran workshops making Room Books, Memo Books, Paper-cut, Books like little villages and exploring all sorts of ways to make the pages stand alone and come alive. 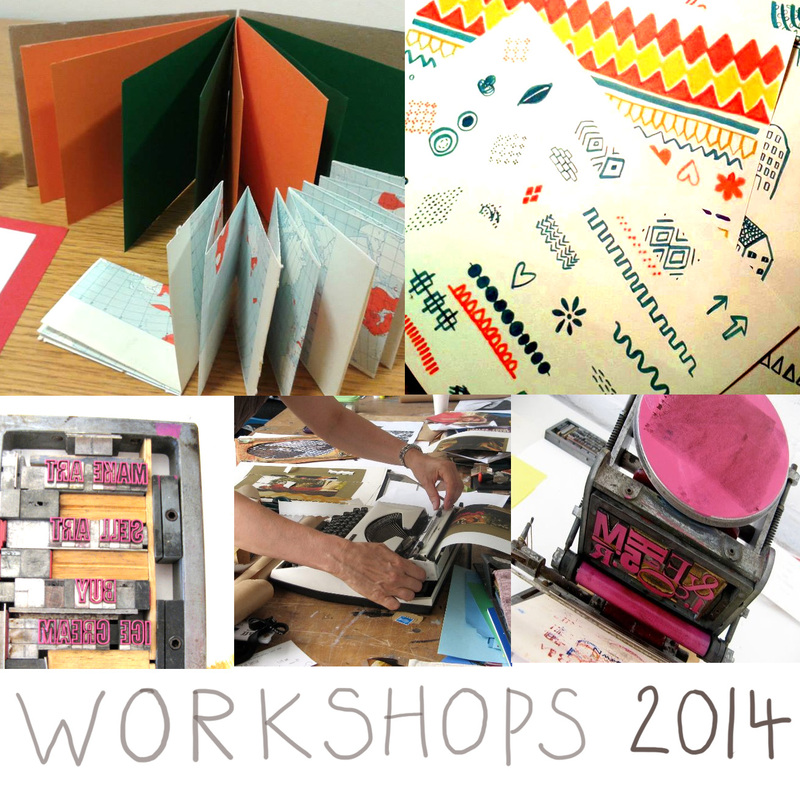 Saturday 6 – Sunday 7 August – Letterpress Printmaking – Cardiff Open Art School, Howard Gardens. Click HERE to see pictures from this weekend workshop. 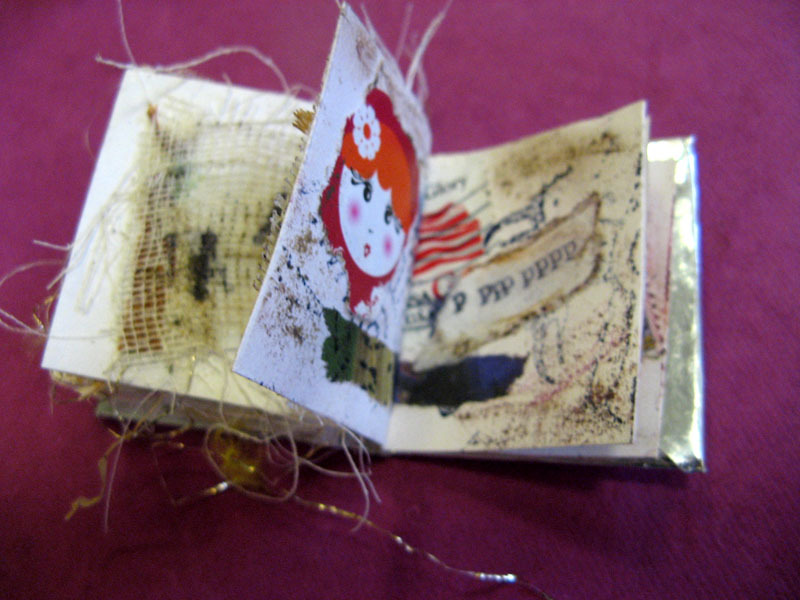 Here are some photographs of the Book Making workshop I ran last year at Milkwood Gallery, as part of the Shoe Tales exhibition. 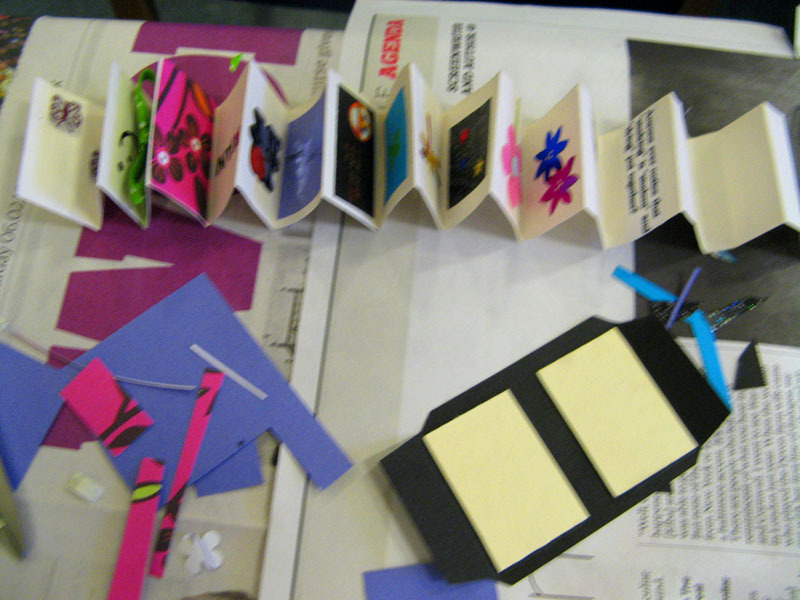 We made concertina books, pocket books and even books out of one piece of A4 paper. Get in touch if you’d like to stay informed of other workshops I’m running. 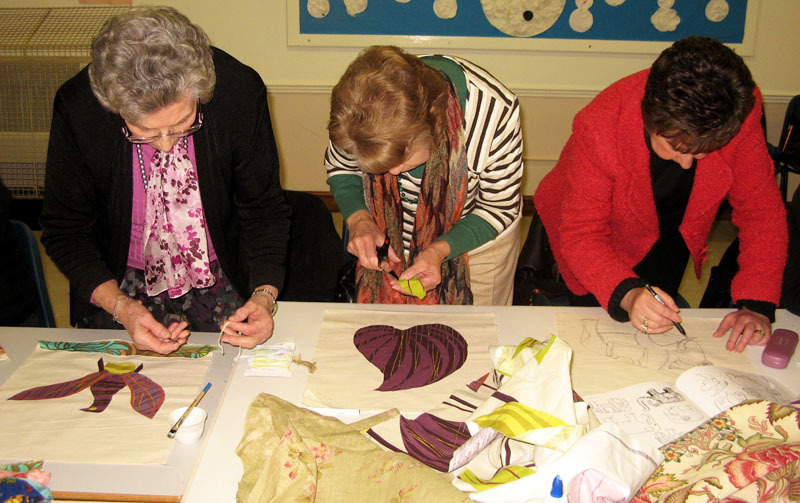 Over the past few years I’ve run a range of creative workshops. 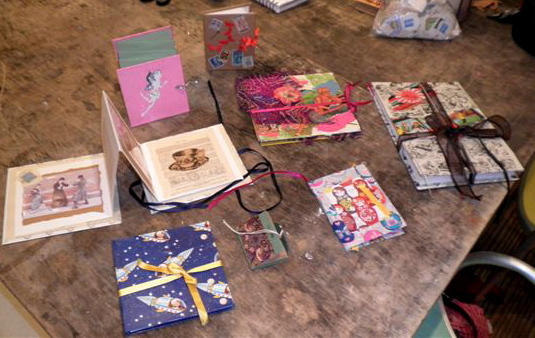 These have included book making, canvas bags, collage, bunting, jewellery and postcard storytelling. 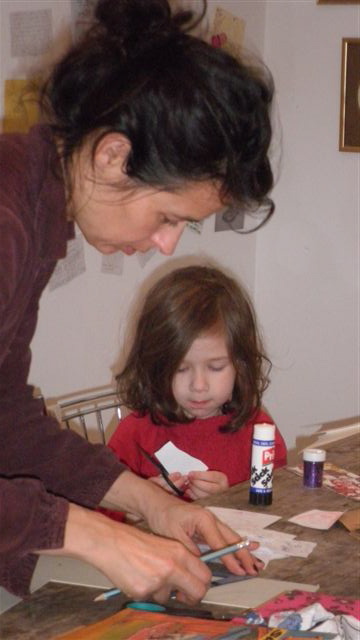 I can tailor a workshop according to your interest or needs, and have worked with both children and adult audiences. Please contact me if you would like to book me to run a workshop.